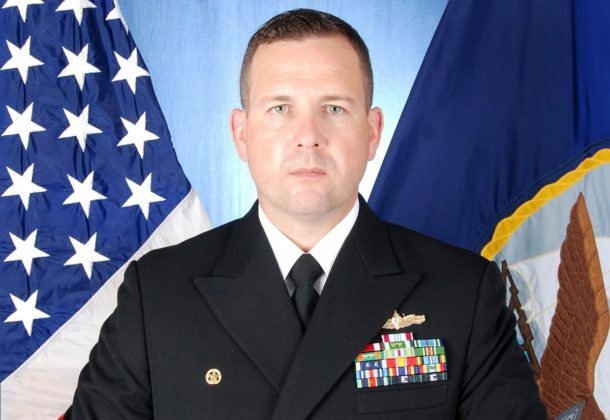 The court-martial against the Fitzgerald’s former CO was thrown into disarray this week, reports Navy Times, when a military judge ruled that the admiral who brought charges against Cmdr. Bryce Benson failed to remain neutral in his case. Seven American sailors drowned in the June 27, 2017, Fitzgerald accident and 10 were killed on the McCain, two months later. Lockheed expects the F-35A cost to drop below $80 million apiece in 2023, reports USNI News. The Navy’s costliest warship, the $13 billion Gerald R. Ford, had 20 failures of its aircraft launch-and-landing systems during operations at sea, according to the Pentagon’s testing office, Bloomberg reports. DoD remains mum on whether National Security Adviser John Bolton is suggesting 5,000 US forces could be dispatched to Venezuela to respond to the internal crisis, reports Military Times. DoD had no comment on whether that option was under consideration. Acting DefSec Patrick Shanahan said the Pentagon was monitoring the evolving upheaval in Venezuela. Shanahan has identified who he wants to lead US Space Command, reports Defense News, but no name has been released. Work is underway on the confirmation process. The Pentagon confirms thousands of troops are heading to US-Mexico border to meet President Donald Trump’s request to enhance security there, reports Military Times. And Democrats want to know why active duty troops are still at the US southern border. Capitol Hill negotiators hope for an agreement during ongoing talks on a homeland security spending bill trapped in a stalemate over Trump’s long-stalled border wall, report AP. Seasoned House and Senate lawmakers say they could easily reach a border security deal as they have for two years in a row. But whether Trump would sign it is another matter altogether. The Hill reports top leaders of the intelligence community contradicted Trump’s claims about North Korea and Iran in a new assessment about nuclear developments in the two countries. Navy Times reports China’s ongoing military buildup on islands in the South China Sea is akin to “preparing for World War III,” says Sen. James Inhofe (R-OK), chair of the Senate Armed Services Committee. US and Chinese negotiators continue two days of high-level talks aimed at settling a six-month trade war that has weakened both sides, shaken financial markets, and clouded the outlook for the global economy. AP reports the odds are stacked against a resolution this week. The famous Postal Creed does not apply to Polar Vortex conditions, reports CBS News. In response to frigid and hazardous driving conditions, the US Postal Service suspended service in parts of Minnesota, Michigan, Indiana, Illinois (including parts of Chicago), Wisconsin, Ohio, Iowa, western Pennsylvania, the Dakotas, and Nebraska. Kforce Government Solutions Inc., Fairfax, Virginia, was awarded a $28,000,000 firm-fixed-price contract to procure traumatic amputation task trainers. One bid was solicited with one bid received. Work locations and funding will be determined with each order, with an estimated completion date of Jan. 30, 2024. US Army Contracting Command, Orlando, Florida, is the contracting activity (W900KK-19-D-0005). Emergent LLC, Virginia Beach, Virginia, was awarded a $7,616,333 firm-fixed-price contract for Oracle PeopleSoft software license renewals. Bids were solicited via the internet with two received. Work will be performed in Crystal City, Virginia; and San Diego, California, with an estimated completion date of Jan. 31, 2020. Fiscal 2019 operations and maintenance, Navy; and operations and maintenance, Army funds in the amount of $7,616,333 were obligated at the time of the award. 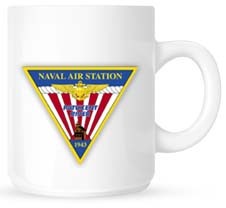 US Army Contracting Command, New Jersey, is the contracting activity (W15QKN-19-F-0274). ARTEL LLC, Herndon, Virginia, was awarded a contract modification (P00013) to exercise Option Period Three on task order GS-35F-5151H / HC101316F0022, for commercial satellite communications service. The face value of this action is $23,328,000 funded by fiscal 2019 operations and maintenance funds. The total cumulative face value of the task order is $93,159,500. Performance directly supports the Air Force’s Central Command area of responsibility for intelligence, surveillance and reconnaissance platforms. Quotations were solicited via the General Services Administration’s Federal Supply Schedule, Information Technology Schedule 70, and one quotation was received from 29 offerors solicited. The period of performance for Option Period Three is Feb. 10, 2019, through Feb. 9, 2020, and there is one remaining unexercised option period for this task order. The Defense Information Technology Organization, Scott Air Force Base, Illinois, is the contracting activity.